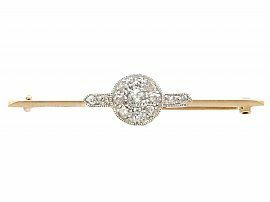 This fine and impressive diamond brooch has been crafted in 14ct yellow gold with a 14ct white gold setting. 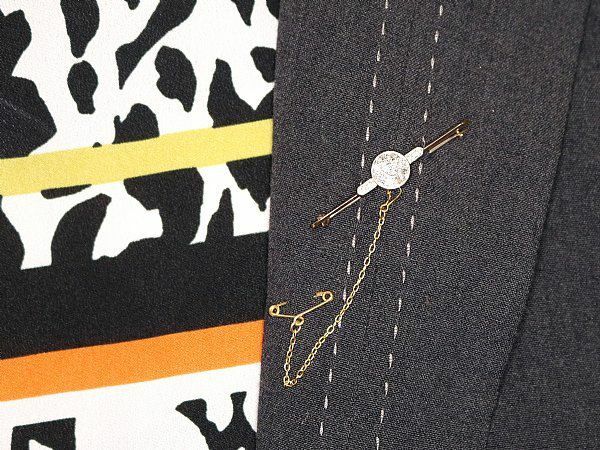 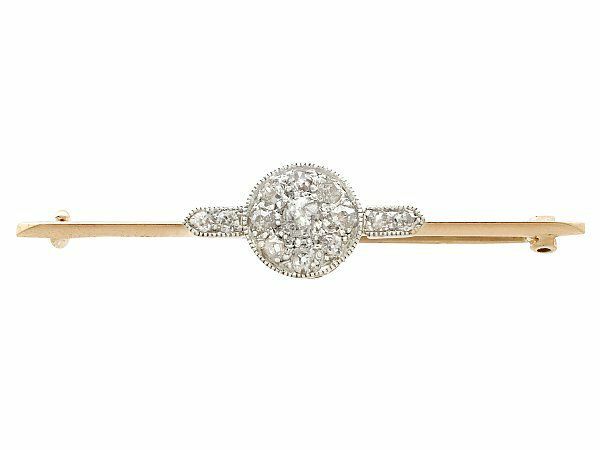 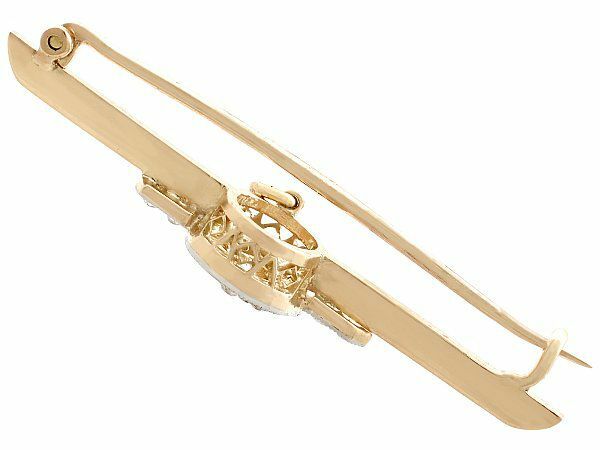 The yellow gold diamond bar brooch has a central circular mullegrain decorated setting, embellished with a total of nine pavé set Old European round cut diamonds. The circular setting is flanked on either side by a tapering millegrain decorated design, each accented with a further two pavé set Old European round cut diamonds. 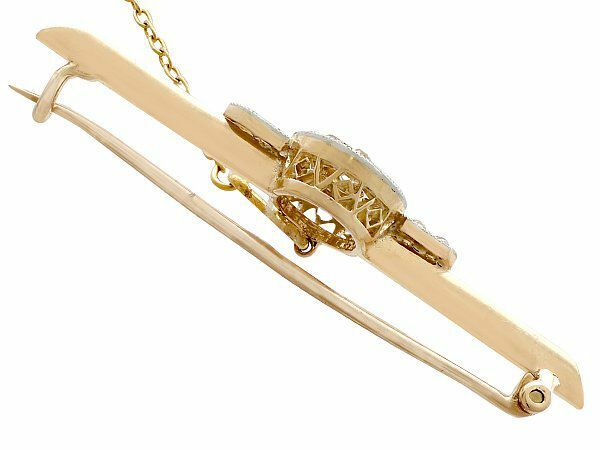 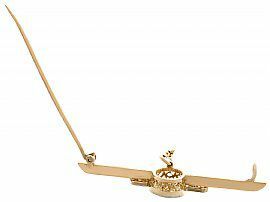 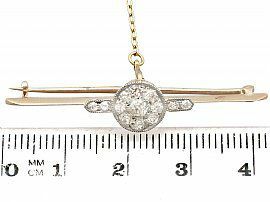 The yellow gold bar secures to the reverse with a hinged pin and clasp, and benefits from a fine link safety chain and clip, suspended from the reverse of the central circular diamond setting. 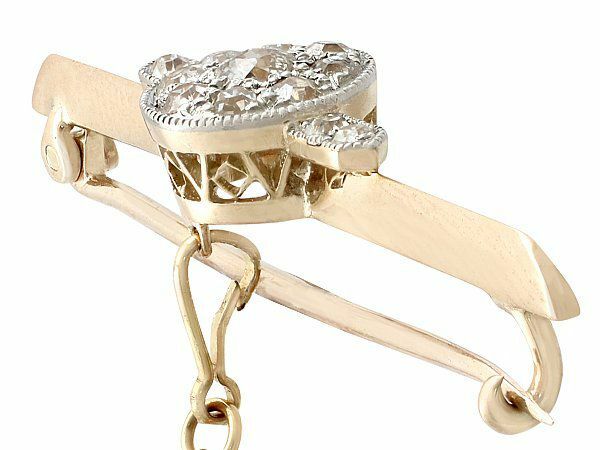 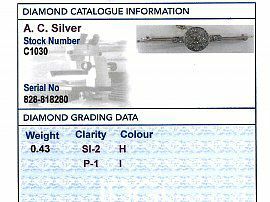 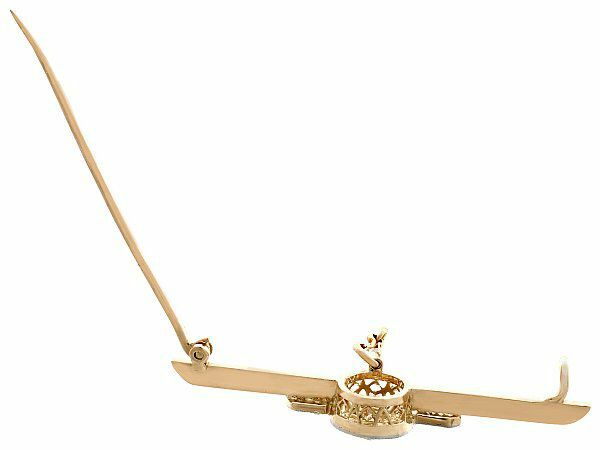 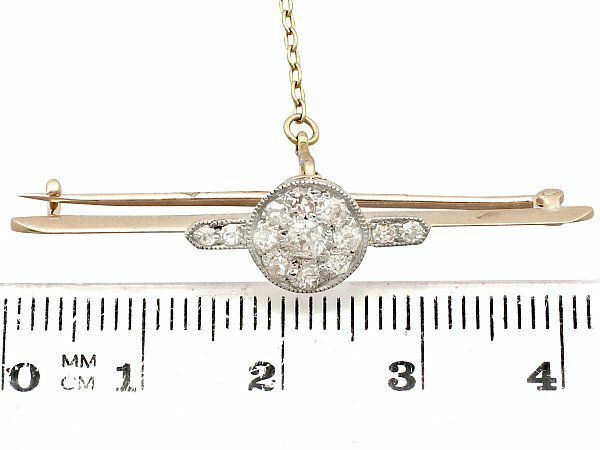 This antique diamond bar brooch has been independently tested using state of the art technology (Niton XL2 Analyzer) and verified as 14ct gold. 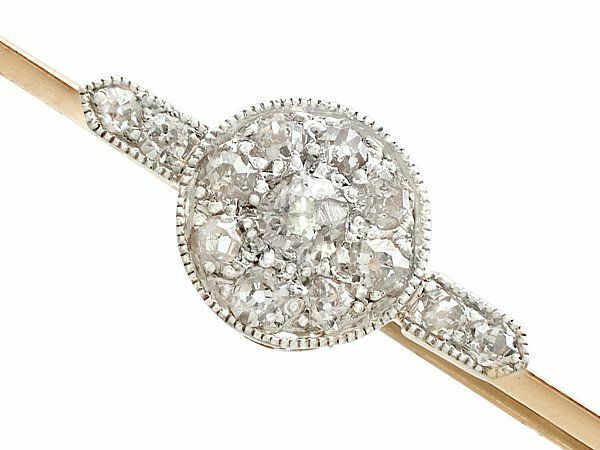 This impressive antique 1920's bar brooch is fine quality set with very high colour graded old cut diamonds, two of which have minor surface abrasions that are visible under a 10x magnification.